As I work on a newborn kit for Maternity Hospital I thought it would be helpful if I post what we actually put into each kit. Each kit has a handmade blanket. This is what Andrea has been working so hard to provide for us. Ben is bringing the first group of blankets down with him in December. Until then we are using the 50 plus blankets that arrived recently when Kate’s daughter came to visit. The clothing we provide for the baby include a diaper and diaper wrap. In Guatemala the mother’s don’t use pins to secure the diaper but instead use a diaper wrap. This is a band that is about 3 inches wide in the center and tapers to a long strip that can be tied. As the baby grows the tie can continued to be used. I haven’t seen plastic pants to cover up the diaper in the stores but so I don’t know if that is something that is normally used. We also give the baby a gown or shirt depending on the current weather conditions. Currently we are in the wet raining season so a gown is needed most. There is a hat and socks/booties. We include baby soap and a wash cloth. There is a dentist group that has been sending a small baby toy to be included but we haven’t received a shipment recently so I will have to purchase some to put in the kits. We also have very few women’s toiletries until December when Ben arrives. Ben has been collecting funds so we can purchase most of these items since our money goes so much further here than in the USA. Although we don’t give the mother’s much it is a major gift to them and they are so appreciative for having a new outfit for their baby as well as a warm blanket to wrap the baby it. Thank you to each of you for your wonderful support and help. Today we had a wonderful experience at the Maternity Hospital in Guatemala. I don’t know what I was expecting but it wasn’t this. The building was so very clean but very old and rundown. After walking through the front door there was a wall with a few chairs. From there you went around the corner into a ward with 8 beds. There were a couple of rooms with showers without curtains for the mothers to shower. I assume there were toilets also in these rooms. This side of the building was empty today. As were rounded the corner there was a second ward exactly like the first except here there were 6 women and babies in the beds. A doorway led to the delivery room where we were told 3 women were in the process of having babies. The nurse/midwife went back and checked on the mothers in the delivery room every so often but then came back and checked on the mothers in the ward with their babies. 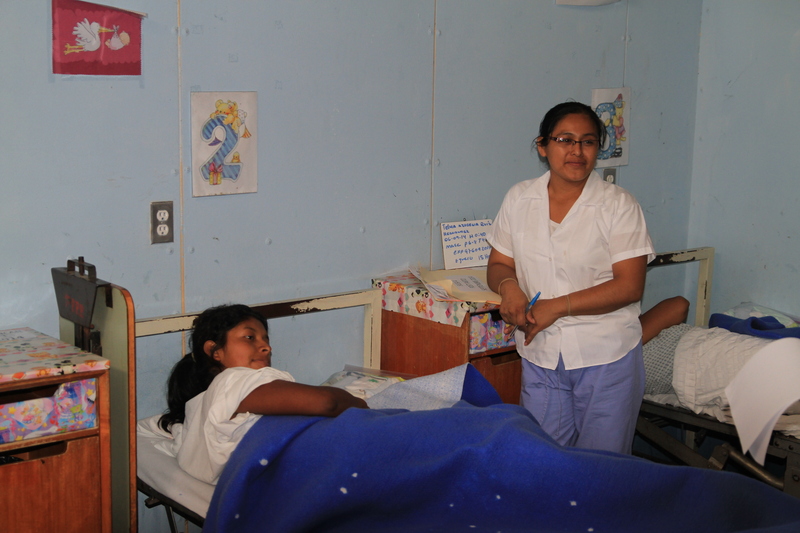 Throughout the day the nurse would conduct classes on nursing and caring for the new baby once the mothers get home. Also there was an administrator who was in the process of getting paperwork signed for the new mothers. By 11:00 A.M. the mothers and babies would be leaving the hospital unless they had been there less than 24 hours and then they would have another day to rest and receive instruction. The mothers looked so very exhausted. They not only had just gone through delivery but were carrying for their babies. There was no separate nursery for their little ones so they could get rest. To make it even more challenging there was a high school band on the street preparing for the Independence Day parade and it was very loud. We were the only people at the hospital other than the two workers and the mothers and babies. There were no family visiting, no flowers, balloons or gifts on the bedside table and the babies were wearing clothing that had been worn and washed many times before. Soon the babies would be changed into the clothing the mother had brought with her to the hospital. Each of the mothers were so very grateful for the blankets and clothing we left for them. When we come into the hospital we only bring one kit for each mother. On this day we were one short so we needed to go back to the car and get another kit. The sweet little mother thought she wasn’t going to get one and almost started to cry. It made me realize how important these gifts are to these sweet mothers. I’m looking forward to returning often to take more clothing and blankets to these very tired and shy mothers. I want to do so much more but feel so inadequate. We are loving Guatemala and the wonderful people here but it is different than North America. Other than the obvious things these are some differences I have noticed. The grocery stores do not have mixes and canned goods unless you are in the “Gringo” isle of the store. That would lead me to believe that everyone cooks from scratch. We have been able to find Spam, canned corn, asparagus, Campbell’s minestrone and cream of mushroom soup. Oh, and there’s ramen noodle soup. The vegetables are much larger here than I have ever seen. I have been looking for a green pepper since we got here and Kent found one this week but a first we didn’t recognize it because it was twice the size as the ones back home. All eggs are kept on a shelf (not refrigerated) and the yokes are orange. They are so flavorful. I am going to miss having these eggs in 17 months. Flavorful eggs produce some of the most flavorful chickens in the world but they are smaller than I’m used to. Not Cornish Game Hen small but small. The grocery stores are as large and nice as those in the USA. What they really excel in is their produce department. The only thing I can’t find is lemons. You can buy bags of limes but apparently we can only get lemons at certain times of the year. The beef is cut differently in Guatemala. I don’t recognize any of the cuts but I’m learning how to cook with the different cuts of meat. Both brown and white sugar has a different consistency than we are used to. It is much grainier but it’s not a problem. When there is a festival or marathon they close the major roads in the city for the day. Everyone has trouble getting around but they are really good at having fun at the festivals so no one seems to mind. Stop signs are considered Stop suggestions. No one stops at a sign and if you do you might cause an accident. There are unwritten laws, however, that everyone obeys. If you put your arm out the window and wave people must let you into traffic. I have gotten very good at doing my arm stretches while in traffic. 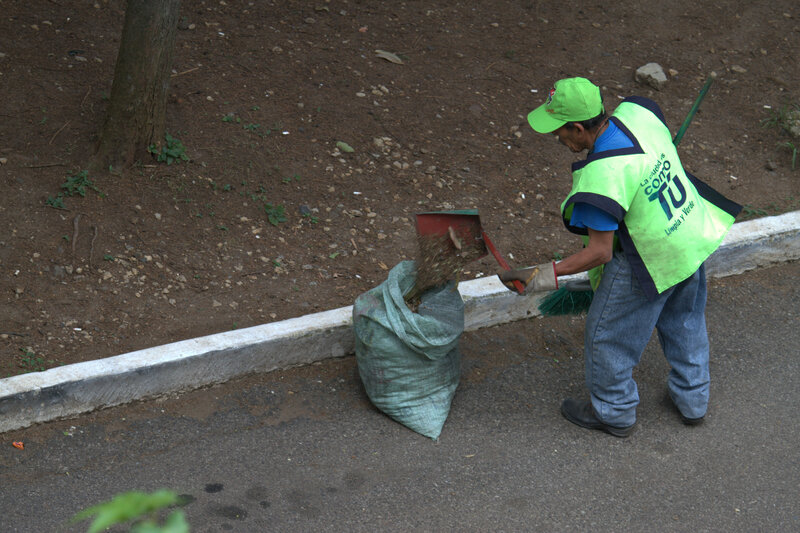 Government officials wear florescent green clothing or vests. All police, firemen, city street workers can be seen by their green clothing or vehicles. Now that I’m used to this I like the consistency of the color. All cones, barricades, etc. are also green. All motorcyclist must wear an orange vest on the outside of their clothing. The motorcycle license must be in bold letters on the vest as well as the helmet. Only the motorcycle driver must wear a helmet. There passengers don’t have to wear a helmet. The unnerving part for us as drivers is motorcycles can travel between cars and up on sidewalks. I don’t know if it’s legal to go on a sidewalk but during traffic you will see a group of motorcycles going on a sidewalk. We have gone to wonderful restaurants and it never cost us much. Our bill is usually $18 for the evening out and that includes the tip. As a foreigner you do not pay sales tax. All streets in Guatemala City are either Avenues or Calles. 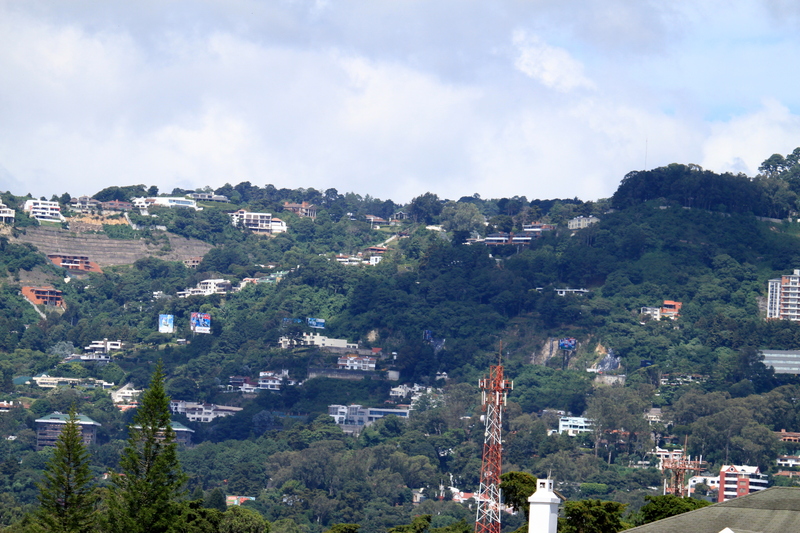 Guatemala City is divided into 19 Zones. Like any other city in the world you can’t tell when you are going from one zone (municipality) to another. The problem for newcomers is in Zone 14 (our zone) Avenues have the right of way (don’t pay attention to stop signs if there are any) and Calles must give the right of way. As we travel down the road we find ourselves in Zone 10 and Calles have the right of way and Avenues must stop. Locals know this but we are learning. Guatemala doesn’t have street signs. Major roads have overhead signs to tell you were important roads and intersections are but when someone gives us directions are usually “Turn at the tree that overhangs the road, turn at the building that looks like a decorated cake or after you turn count 4 blocks and turn.” In this same light GPS doesn’t work in Guatemala so don’t count on it. Almost all streets in Guatemala City are one way and it is very confusing to a new comer. The city doesn’t have room to grow and so their only way they could accommodate traffic was to make room on the roads. There are very few places to park. If you see a car double parked with the lights flashing you respect the individuals need to stop and go into this building. Anyone can raise a plant. When we moved into our apartment I was concerned that we would be charged for the potted plants that I killed. (I do have a reputation). After 5 weeks the plants are doing beautifully and I haven’t had to worry about them. 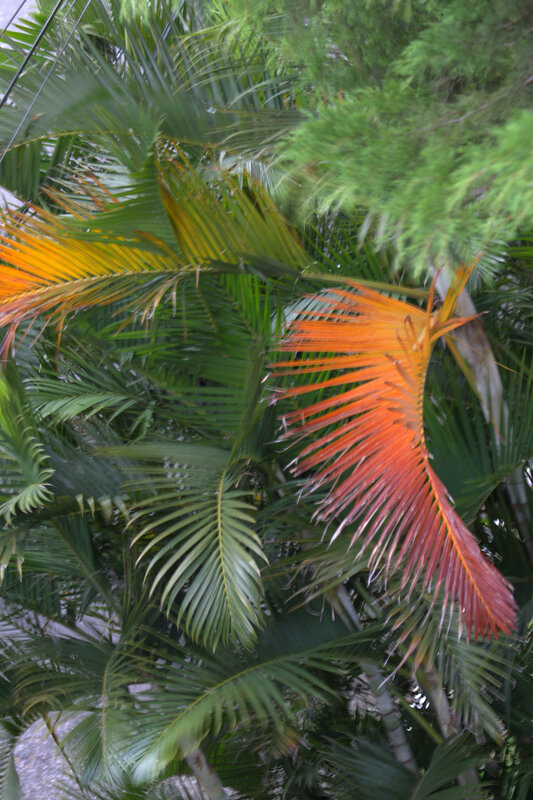 Everywhere you look there are trees and gardens. It is the most beautiful sight. We haven’t seen graffiti on the walls. Most of the city is clean. I recognize that there are areas that are not clean and probably have graffiti but as we have traveled around the city we find Guatemala to a beautiful place both in cleanliness and flowers and plants. Poverty is real. Many people are grateful that they were able to bring home enough money for their meal that day. 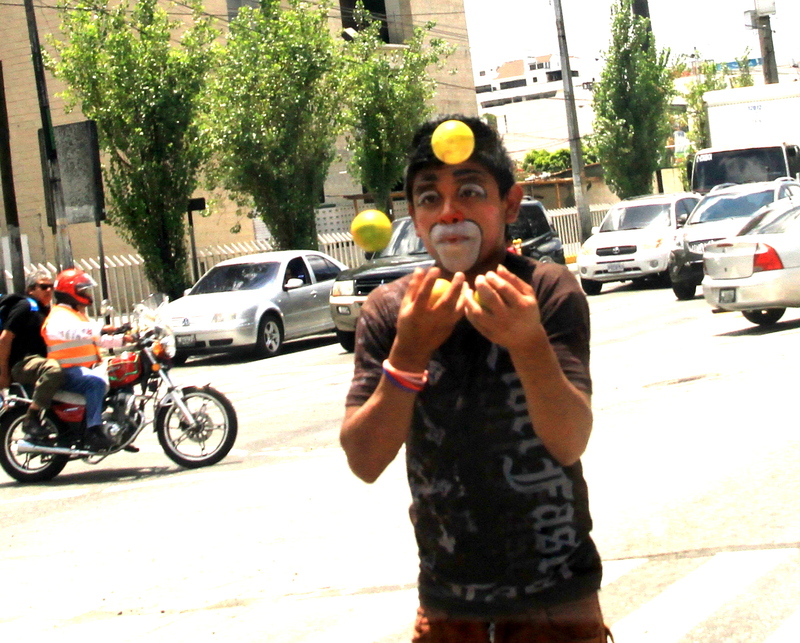 There are young people on the street doing juggling or magic or selling something to make money. We try to have small bills or change with us to give them something. The people of Guatemala are very proud of their country and want you see the beauties of their country. If you tell them how much you love their country it makes them very happy. The thing that is hardest for me is people not being use to a schedule. If a worker is supposed to come they say we will be there next week. If you press them for a day or time they will give you one but we have learned that it means nothing. They will come when they can. Now, here in Guatemala I am making quilts and encouraging others to participate in quilting for some of the poorest children this beautiful earth. It is such a privilege to serve these helpless babies and at the same time honor my Grandmother. 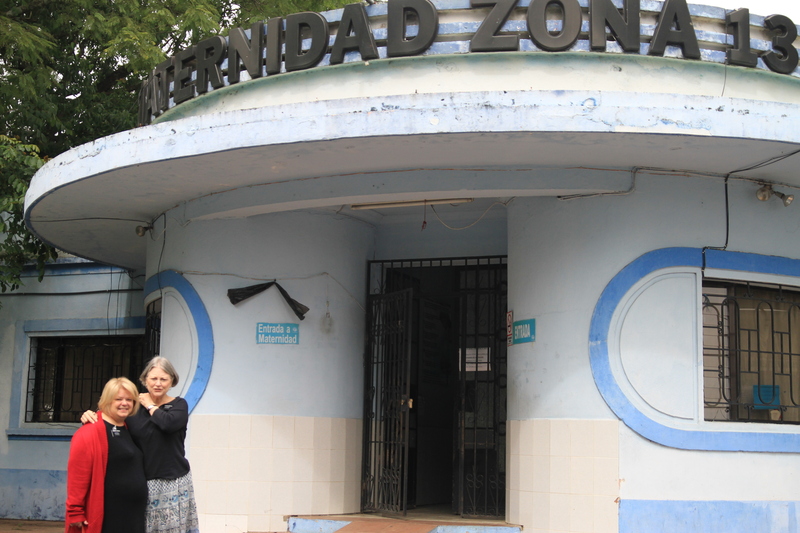 Maternidad Zona 13 (close to the airport) is a government-subsidized maternity hospital for women in poverty. 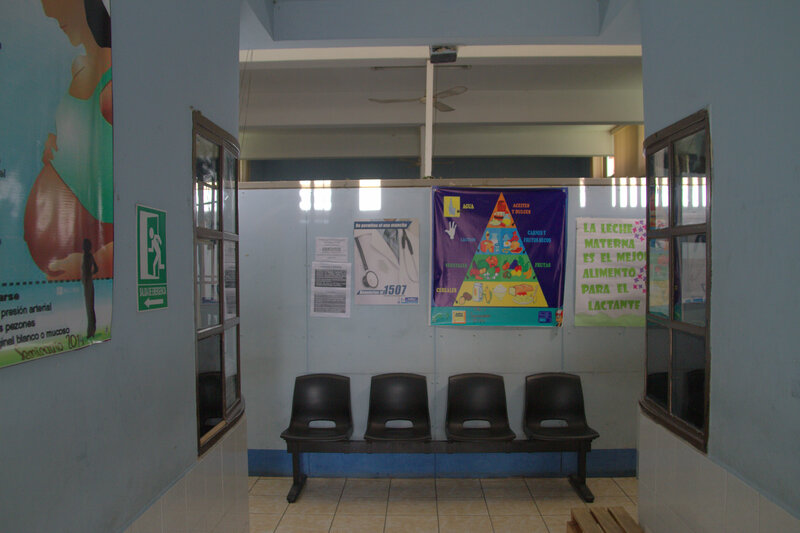 The expenses paid by the government are prenatal care, breast feeding classes, labor and delivery. After delivery, the mother and baby can stay for 24 hours under nurses’ care and receive meals. The support project we do to provide mothers, particularly the poorest ( who have on occasion taken their babies home wrapped in newspapers) have something nice to take their babies home in. The kits contain a handmade quilt or receiving blanket (36″ X 36″ or 45″ X 45″), a cloth diaper with diaper band or pins, a gown or shirt, infant cap, infant socks, a bar of baby soap, a baby washcloth, and when available, a small toy and/or hotel toiletries for the mother. 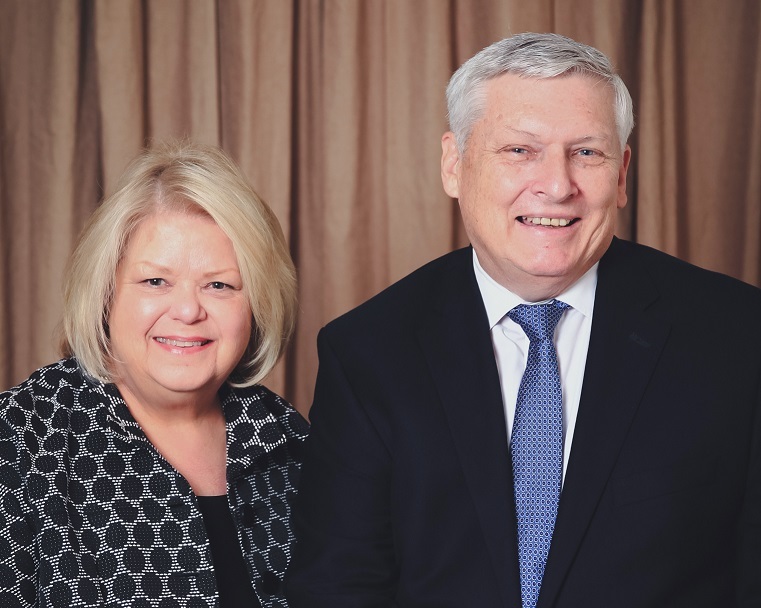 When we go to the hospital to deliver the packets, we usually sit at each mother’s bed, identify ourselves as missionaries of The Church of Jesus Christ of Latter-day Saints (no proselyting or literature) and express caring and love. It is very rewarding. So, the project includes 1) getting handmade quilts or receiving blankets from the U.S.(or money donations) usually brought down by visiting relatives or new missionaries, 2) shopping for items that can be purchased here in Guatemala most economically (Wal-Mart), 3) assembling the kits (each is packed in a Ziploc freezer bag), and 4) delivering and visiting at the hospital. Our address until November is Victoria Suites, Calle 18, 3-50, Zona 14 Guatemala, Guatemala and then we will be moving down the block. If you want to send us a letter the cheapest and probably the fastest way is to send it to Elder/Sister Munson, Guatemala Pouch, Area Administrative Offices, 50 East North Temple, SL, Utah 84150. You can use a regular USA stamp to mail a letter to us. We love hearing from everyone and plan on posting our experiences soon.